Large clam shells that walk on five thin legs. They have piles of human skulls from previous victims inside their shells. Six of them can be found at the end of the cave, in front of Seath's boss room. At the sand area throughout Ash Lake. When you kill them and they drop something, the usual yellow item glow may be hard to see because of their huge static corpses. Be sure to walk over any killed Man-Eater Shells to check for items. Farming these in Ash Lake is a good way to acquire Twinkling Titanites and Purging Stones before you acquire the Lordvessel. There are no other enemies around after you kill the Hydra, so it's relatively fast and safe. A short, fast tackle that they can perform a two-hit combo with. Getting hit by the first attack usually means you'll get hit by the second, unless you have enough Poise to avoid getting stunned. An eating attack. Long windup and easy to avoid. If you let it hit you, you'll be forced to watch it chomp away your gear's durability. A fast stab with two legs. A charging attack that sends the player flying into the air if it hits and does heavy damage. Long windup, but fairly long range. This enemy has a strong defense against physical attacks. Bring up a shield and keep strafing around them until they attack, leaving them open. Two Fireballs with an ascended Pyromancy Flame are enough to kill them. Keeping your distance and throwing Fireballs is a good way to take out a crowd. If you cut Seath the Scaleless' tail and you have the stat to wield it, you can use the Moonlight Greatsword's one-handed heavy attack to pick them off from safe distance. A heavy weapon with a downward power or running attack makes easy work of these. Just attack them on approach and follow up quickly for the kill. Alternatively, you can back up and use the running attack again. This strategy aims to kill as many Shells as possible with the most efficient way possible (i.e. one-hit kill). It's mainly for farming Twinkling Titanites, but you can also sell the Purging Stones to Frampt (1,000 Souls each) to buy more Homeward Bones or to upgrade weapons or armors using the Twinkling Titanites. This can be done on the first playthrough. For non-Intelligence builds, you need Ascended Pyromancy Flame +5 and Great Fireball (or Great Chaos Fireball). If you have 50 Intelligence (or slightly lower), you may use Logan's Catalyst and Soul Spear (or Crystal Soul Spear) instead. Attune both Great Fireball and Great Chaos Fireball for a total of 8 charges, to give room for errors. Note that you need at least 3 Attunement slots to attune both pyromancies. Attune both Soul Spear and Crystal Soul Spear (or additional copy of Soul Spear from Griggs) for a total of 8 charges. Kill Seath the Scaleless to spawn the Crystal Cave bonfire, then rest at it. Equip the Crown of Dusk, the Bellowing Dragoncrest Ring, the items for additional spell charges, and the spell of your choice. If you wear these items, one attack should kill a Shell (on the NG at least) without the need to stagger the Shell or using Power Within. From the bonfire, go to where the fog gate was, then throw a Great Fireball or Soul Spear to kill the Shell to your right (first Man Eater Shell). Kill the one to your left (second Man Eater Shell). 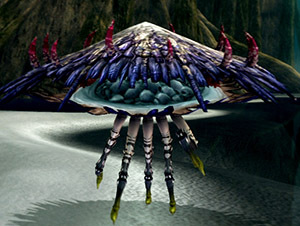 Wait a bit for the patrolling one to approach you, then kill it (third Man Eater Shell). Go forward a bit, then kill the one facing away from you (fourth Man Eater Shell). 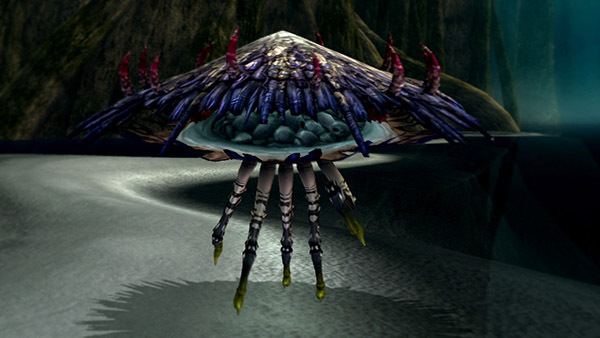 If you're using Soul Spear, you may try to lock on to the Shell behind this one (fifth Man Eater Shell), or manually aim the spell so that the Soul Spear pierces the first, killing two Shells in one shot and saving your time. Some builds (e.g. low level ones) may not have enough Attunement to attune both Great Fireball and Great Chaos Fireball, or don't have enough Intelligence to use Soul Spear. These builds only have enough spell charges to one-hit kill four Shells without sacrificing Item Discovery. For these builds, it's better to Homeward Bone back to bonfire rather than kill the remaining two Shells, then repeat from step 3 as needed. If you still have spell charges left, kill the fifth one if not already killed. Turn right, walk a bit, kill the last one (sixth Man Eater Shell). Homeward Bone back to the bonfire, repeat from step 3 as needed.